Super Smash Bros. Ultimate, the latest entry in Nintendo’s beloved fighting series, is the biggest Smash Bros. game to date. Every character that has ever been featured in a Smash game will be playable, plus some new fighters like Animal Crossing’s helpful and adorable assistant, Isabelle. A new feature allows battles to take place over multiple arenas and new gameplay modes switch up the format in some fun new ways. Despite all the new gameplay options, many Smash players still prefer a GameCube controller when it comes to knocking out the competition. While Super Smash Bros. Ultimate will also support Switch Joy-Cons and Pro Controllers, Nintendo announced a Super Smash Bros. Ultimate-themed GameCube controller (along with a special Pro Controller and a limited edition Switch console that has since sold out.) 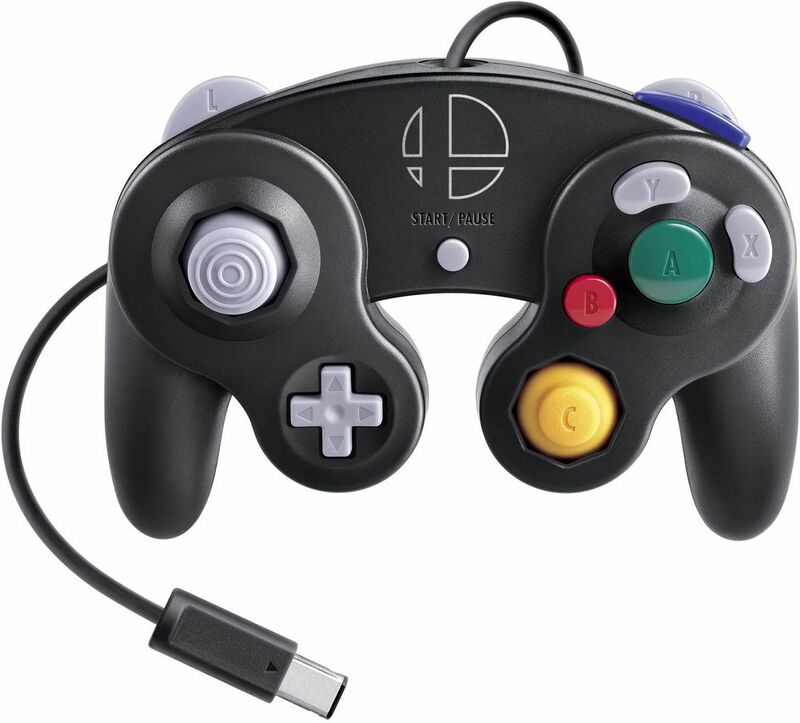 Not at all coincidentally, several third-party accessory manufacturers designed new GameCube-style controllers of their own, most of them dropping on or around Super Smash Bros. Ultimate’s Dec. 7 release date. 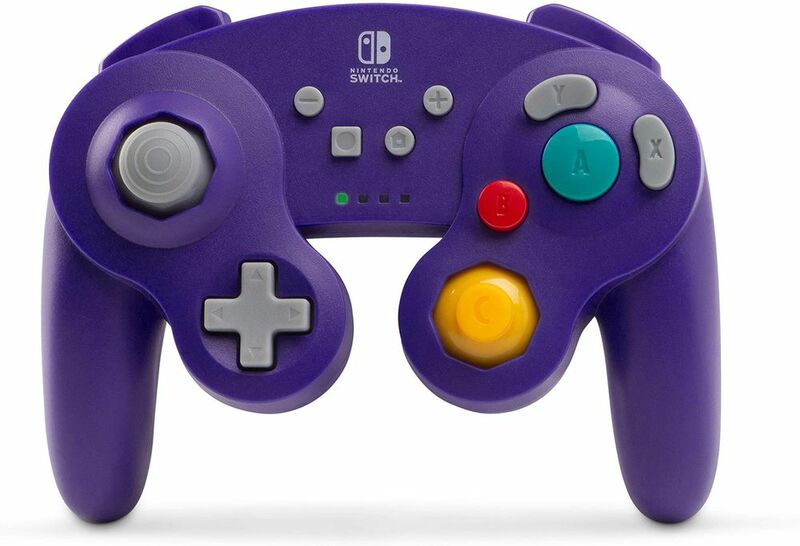 We’re rounding up all of your options for Switch-compatible GameCube controllers from Nintendo’s own Super Smash Bros. Ultimate edition to PowerA’s new wireless version. Note that you’ll need to pick up either Nintendo’s USB adapter or 8BitDo’s new wireless adapter to connect any wired GameCube controllers to the Switch. With the exception of buying a used model from a reseller, Nintendo’s own special edition GameCube controller is the closest you’ll get to the original 2002 gamepad. It features a minimalist outline of the Smash logo above the start button. 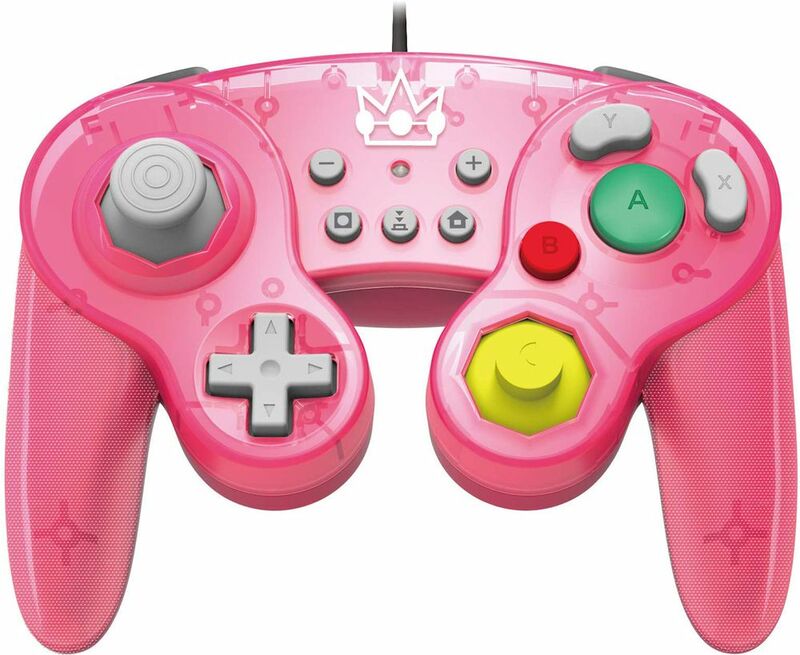 If you’ve got a signature fighter you want to rep, Hori released a line of GameCube controllers paying homage to some fan favorite Smash characters: Zelda, Luigi, Pikachu, Princess Peach and Mario. All but the Pikachu model are translucent. Hori also added some modern improvements to the gamepad. Along with the Switch system buttons home, screenshot and +/-, a textured grip was added for better comfort. The analog sticks were given increased precision with anti-snapback technology and the shoulder button functions can be swapped for even more customization. 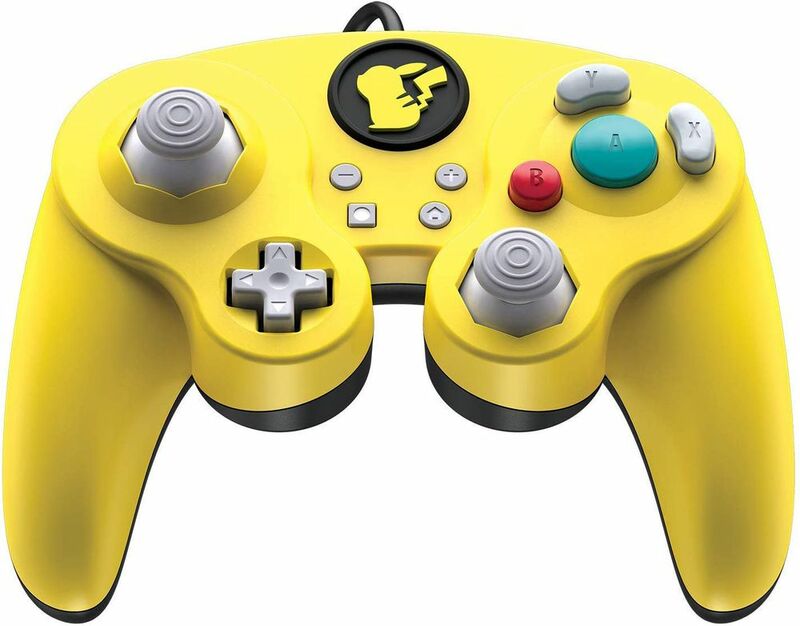 PDP also styled its GameCube controllers after Nintendo characters: Pikachu, Link and Mario. Like Hori, PDP added Switch system buttons to the gamepad. The standout feature on PDP’s controller, though, is the detachable full-size analog stick that can be swapped out for the traditional C-stick. PowerA makes the only wireless GameCube controller licensed by Nintendo, making it the only GameCube controller that can still be used when the Switch is undocked (unless you’re using 8BitDo’s adapter). This controller also makes some small tweaks like adding Switch system buttons, a slightly larger d-pad and an LED light showing player number and flashing to indicate a dying battery similar to the Pro Controller. The wireless PowerA controller uses two AA batteries and comes in purple, black and grey. A wired model is also available.